Now, like most *ahem* young men like myself, I love a good war movie. Stuff exploding, people shouting obscene language, large guns, and the fight over good and evil taking centre stage once again. What’s not to like?! 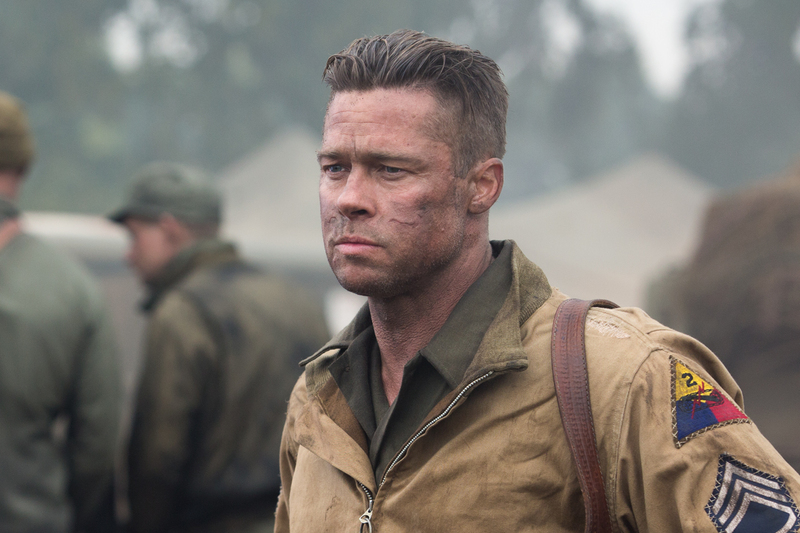 So when I heard two years ago that Brad Pitt was doing a realistic WWII film I was quite excited, naturally. But sadly, like opening a market-bought Christmas cracker and finding the feeble attempt at a gift inside, I was a little disappointed. voiced, scarred, battered and weathered Don Collier also known as “Wardaddy” (Pitt). His five-man crew, partly consisting of Shia LeBoef, Michael Pena and Jon Bernthal, have been together through almost the entire war campaign, namely from Africa to Europe, and have taken part in some of the most ferocious engagements of the war. 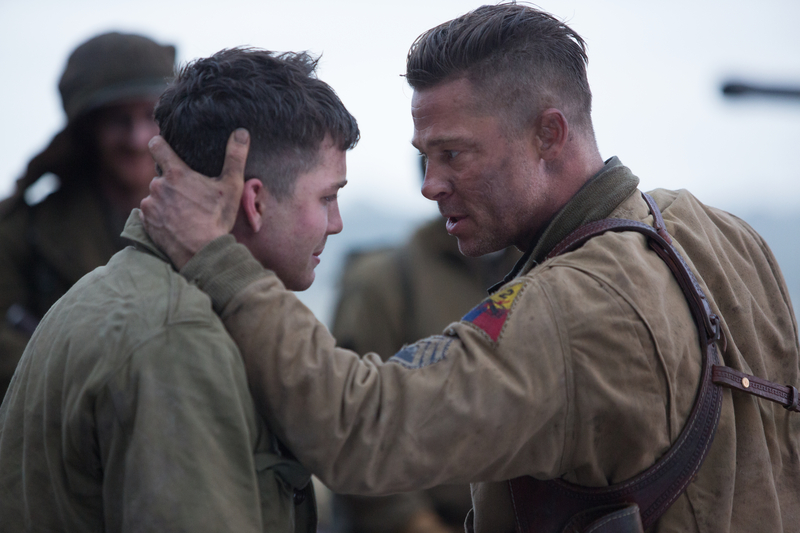 Sadly for them, their long-standing machine-gunner is killed whilst fighting in Germany and their new gunner, fresh-faced typist Norman Ellison (Logan Lerman), is an unexpected and, to some extent, unwanted replacement. 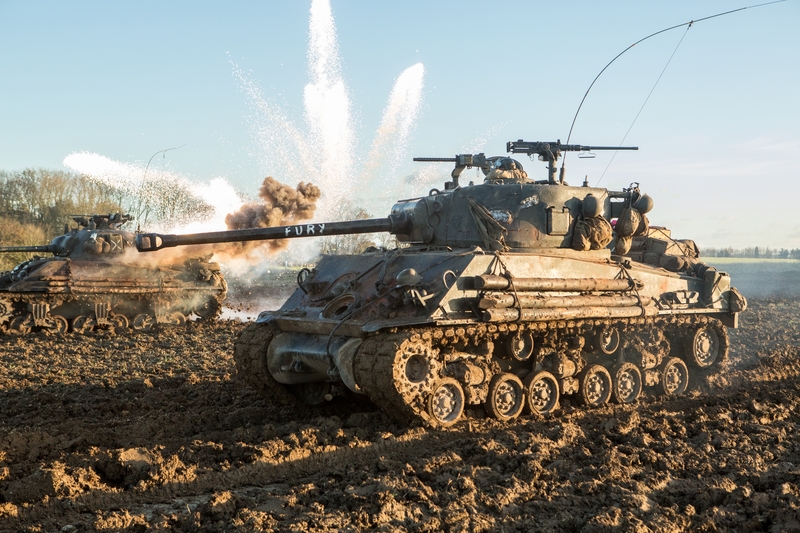 Unsurprisingly, the crew’s initial time together is not harmonious and with a reluctant soldier at the trigger of the secondary weapon in the tank it is only a matter of time before something goes wrong and lives are lost. (I’ll say no more on that as it’ll be a bit of spoiler). As the war rages on, Wardaddy and his crew find themselves further into Germany where the fighting intensifies, especially against the die-hard elite SS units and German Panzer tanks. The realisation of what they are up against starts to become an ever pressing thought and with death all around them, the crew stand to wonder how long it’ll be before their luck runs out. Now, for me, the film is well shot and produced. It’s gritty and violent in all the right places with the violence never seeming to be out-of-place or even gratuitous. But there’s just something missing. There is one segment in particular where Wardaddy (Pitt) and new boy Ellison (Lermen) enter a house and have a slightly uncomfortable engagement with two women which includes an awkward breakfast and adult interaction for Ellison in particular. Now while I’m not against a nice breakfast and a bit of adult interaction, the scene for me was unnecessary. It doesn’t add anything to the characters or the story. I get that the film writers wanted to add a scene where there was no fighting and death, which I appreciate, but this scene was not the answer. I’m not by any means saying I know what the right scene should be, but it isn’t that. Now, as I said, the film lacks a little something. Something that I still can’t quite put my finger on. Maybe its the fact that none of the characters really draw you in, or, to be honest, are even that original. 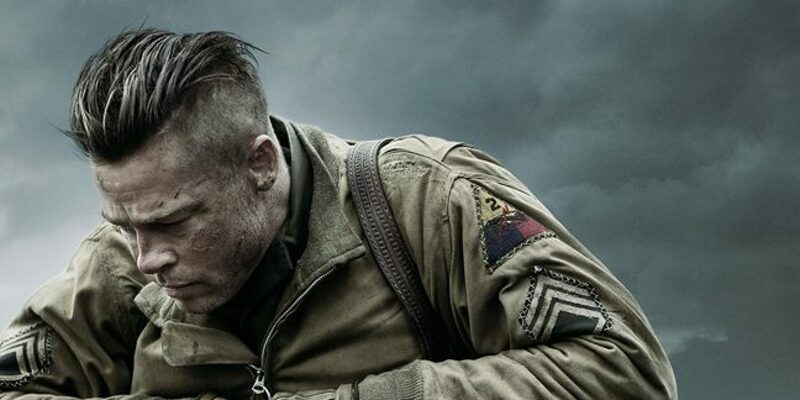 The five man crew seem to be a mix of characters written for Saving Private Ryan and Band of Brothers which were all good for their respective film/tv series, but not original for Fury. Or maybe its some of the accents that are used, which for me made some of the lines inaudible. My final note is once again about the BBFC rating of being suitable for 15 year olds. I am truly astounded that it’s not an 18. Seeing someone explode and limbs go everywhere or another guy’s head explode as it gets crushed by a tank is not in my mind suitable for a 15-year-old. Let me put it this way, Top Gun upon its release was a 15… See what I mean…? Anyway, overall, as I started out by saying, I was disappointed. I’m a big Brad Pitt fan and I’ve even come round to like Shia LeBoef, but this film just doesn’t hit the heights it should do with a cast and budget like it had. Maybe the fact that they were filming in England on remembrance Sunday should have been the first give away that they weren’t really paying attention to detail about WWII and what should have been expected of them. Fury…? More like mildly irritated.